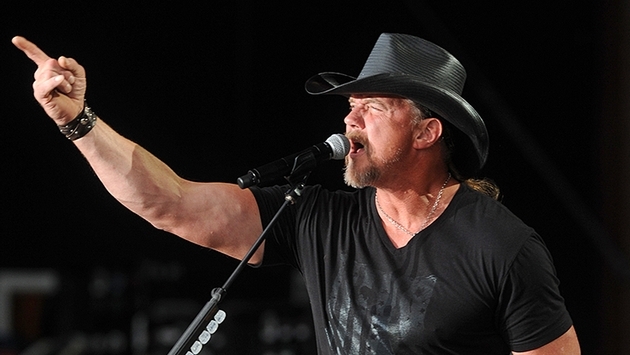 Trace Adkins, who has battled alcohol addiction in the past, was headlining a Country Cruising eight-day cruise aboard the Norwegian Cruise Line Pearl from Miami to Jamaica, Grand Cayman and Mexico when he reportedly got into an argument with a Trace Adkins impersonator, known as Mike, who was singing karaoke in a bar on the ship. The 52-year-old country crooner reportedly jumped ship once it docked at Ocho Rios in Jamaica and has since checked into rehab. "Trace has entered a treatment facility after a setback in his battle with alcoholism," the rep tells PEOPLE in a statement. "As he faces these issues head-on, we ask that his family's privacy will be respected." It’s quite sad to learn this news. Not only was Trace sober for 12 years, but according to a recent tweet, Trace appeared to be excited for Country Cruising before boarding the ship on Jan. 12.
Who out there is escaping the winter cold for Country Cruising with Trace?! It's just 6 days away!! Trace’s past troubles with alcohol led to a 28-day rehab stay in 2001 after his wife Rhonda and his daughters staged an intervention. "I was getting to the point where I was poisoning myself [by drinking so much]," he revealed in a 2009 GAC special. "I wish for anybody out there to never have to go through one of those intervention things where you sit down there and people start telling you what you're doing to them. You're so weak that it's come to this. Man, I hated myself at that moment." TMZ was first to report Adkins's altercation and return to treatment. Trace and his impersonator (the one wearing the sunglasses) previously met in 2007. Watch the video below.